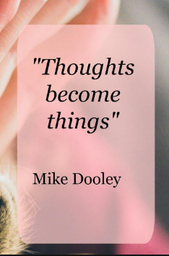 Sherre' is a regular contributor to Mike Dooley's (featured in the movie, The Secret) TUT Thoughts Become Things Blog which attracts over 150,000 visitors each month. Her most recent article was featured in Mike's March TUT Adventurer's newsletter distributed to 800,000 subscribers as "Blog Posts We LOVE!" To read, "9 Actions to Empower You Daily" ... CLICK HERE. To read other articles of Sherre's at tut.com, CLICK HERE. 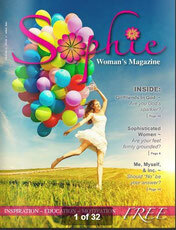 Sherre' has been a favorite columnist for Sophie Women's Magazine since 2010. Her column, Me, Myself & Inc., was inspired by her book of the same name, which received national acclaim upon its release in 2009. Her April column focuses on the question, "Should "No" be your answer?" To read Sherre's column in the magazine, CLICK HERE. 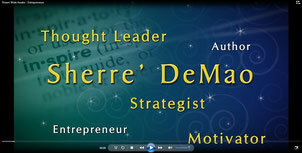 Sherre' has been a columnist for Northeast Business Today since 2008. Her column BizGrowth 5.0, which debuted in 2012 after her successful Savvy Business Owner column, resulted in her being accepted into the National Society of Newspaper Columnists in 2014. 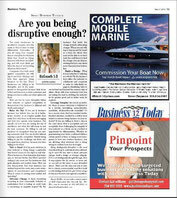 Her March column in Business Today asks the question, "Are you being disruptive enough?" To read the column, CLICK HERE.